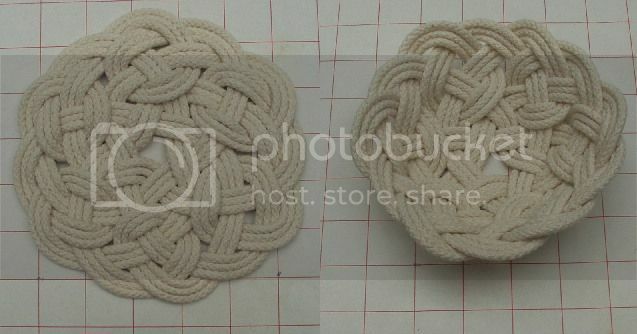 Mat can be kept flat (left) or the edges can be turned up to make bowl (right). Tutorial is available. Very cool. What's your favorite project so far? I like all decorative ropework so it is difficult to pick a favorite.